Here to help business owners envision and define a successful exit. Contact a NAVIX Consultant today to assist you in charting and following a course that builds business value and achieves exit success. The Certified NAVIX Consultant program recognizes those individuals who have met a higher standard of knowledge about helping business owners achieve exit success through the NAVIX system and tools. Certified NAVIX Consultants must complete additional training, and over time demonstrate excellent results for clients. Pat serves as the Chair for a Vistage CEO Advisory Board where he provides coaching and helps Business Owners plan for and execute successful exits. An entrepreneur at heart, Pat developed sales channels for EPAY Systems, a start-up SaaS business utilizing the cellular network for M2M data transmission to a cloud-based service platform. Recruited to operate another young SaaS business, Pat was GM for the TankLink division of Telular Corp in Chicago prior to a roll-up as part of the PE ownership exit plan. Pat is an IT Industry veteran and former IBM executive. A channel sales expert, Pat developed and managed new sales channels for IBM’s PC and mid-range computer business during a 15-year career. 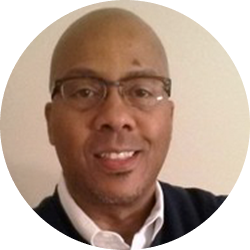 After leaving IBM, Pat was VP of Sales and Marketing for a DeKalb, IL entrepreneur business Micro Solutions Corp. which he grew sales from $20M to $60M in two years through channel expansion in international distribution, e-commerce, and retail. 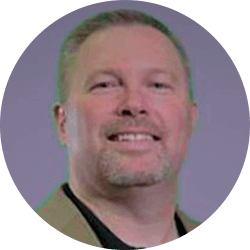 Pat also has corporate reseller management experience as VP and GM for Insight Direct USA (NASDAQ –NSIT) where he had P&L responsibility for a budget of over $500M in hardware, software, and service B2B sales. Pat has a beautiful wife and two wonderful adult sons who grew up sailing on Lake Michigan together with their dad. Mr. Barron is a double graduate of Northwestern University. He holds a B.A. in Psychology and Masters of Management (MM) degree from NU’s Kellogg Graduate School. Mr. Barron served on the Board of Directors of Chicago based non-profit i.c.stars and is an active member of the Union League Club Chicago. Clark serves his clients’ business and personal financial goals with specialized experience in building portfolios, tax-effective investments, retirement planning, estate planning and business exit planning strategy. As one of fewer than 7000 consultants to hold the Certified Investment Management Analyst (CIMA) designation, administered by the Investment Management Consultant Association and taught in conjunction with the Wharton School of Business, Clark undergoes rigorous ongoing education for re-certification every two years. He also is a Certified Investment Management Consultant (CIMC) with training provided by George Washington University, and a Certified Private Wealth Advisor (CPWA) taught in conjunction with the University Of Chicago Booth School Of Business. The CPWA designation is one of the premier credentials for professionals who work with high net worth clients. Clark is a registered representative and an investment advisor representative with Kestra Investment Services and an investment advisor representative with Kestra Advisory Services. The Exit Planning Institute (EPI) has also certified Clark Bellin with the designation Certified Exit Planning Advisor (CEPA). Clark has completed the Institute’s intensive CEPA five day executive style MBA program at the University Of Chicago Booth School Of Business. He is one of an elite group of business advisors to receive this designation. The CEPA program is the most widely accepted and endorsed program of its kind in the world. Clark’s insight is regularly requested for both print and broadcast media throughout Nebraska and the nation. He has appeared in national publications while also serving as the local financial spokesperson for the ABC affiliate in Omaha. He has been honored in Omaha’s 40 Under 40 and is board chairman of the Community Services Fund of Nebraska. He is also currently a board member of Nebraska Appleseed and the Lincoln Lacrosse Association Board and has been a member of Vistage International for five years. Clark graduated from Nebraska Wesleyan University with a BS in Business. He is a member of the Investment Management Consultants Associations and the National Association of Insurance and Financial Professionals. Chris is the CEO of Business Route, which empowers business owners to accelerate the growth, profitability and value of their company. Leveraging Business Route’s talent and resources, with that of its trusted “Best in Class Network,” business owners succeed at an unparalleled value. Business Route simultaneously models roadmaps for optimal performance of the business and most successful exit strategy for the business owner. This proprietary and disciplined approach, empowers business owners to fully capitalize on the growth and profitability of the company, short and long term. Additionally, business owner(s) are positioned for maximum financial and personal reward. Business Route first analyzes the many facets of the business from different angles engaging in a comprehensive understanding of what it does, aligning business processes with organizational and market driven needs. In collaboration with the business leadership, well defined action plans and benchmarks are established for immediate and long-term optimization. Execution of the plan is then supported by Business Route and its trusted “Best in Class Network” and is made available to the business owner. For more than 37 years of his business career, Chris has been developing his expertise as a Business Owner, Entrepreneur, CEO, COO, Regional Manager, Division Manager and Consultant in many diverse industries, servicing small companies to Fortune 100. He has experienced the entire business lifecycle, building startups from the ground up through successful exits. Chris has a Masters in Leadership and a Masters in Marketing from Webster University. Dream For a Day, a nonprofit 501(c)(3) charity, enabled Chris to make a difference in underprivileged and disadvantaged children’s lives. As Founder and CEO for 19 years with the support of family, friends and volunteers, Dream For a Day established and executed planned events for over 34,000 children. Most importantly to Chris however, is the treasure of his beautiful family including a lovely wife, four incredible children, and many siblings, nieces and nephews. Family, friends and relationships are the cornerstones of his life, fueling his motivation for improving the world. 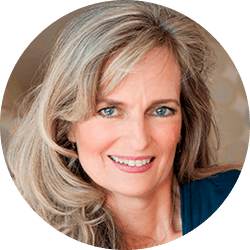 Linda Lindquist-Bishop is president of Courageous Thinking Inc., where she and her team specialize in guiding leaders through challenging transitions. Facilitating the tough questions which reveal clarity as the foundation for making the best decisions, the Courageous Thinking team brings decades of experience and discernment in guiding leaders to accelerate growth, navigate change and define purpose to fuel fulfillment. Linda has blazed trails in the all-male world of offshore yacht racing, sailing on over 100 teams in the past 28 years. Winning two world championships in 2004 and 2009, she thrives in high-risk, stretch-goal team environments. Making history as a member of America3, the first and only all-women’s team to compete in the America’s Cup, she simultaneously competed as a team member and co-spearheaded their highly successful sponsorship program, bringing several reputable companies into the sports business for the first time. Continuing to compete successfully in sailing at an international level, Linda never tires of the thrill of a challenge and the sweet taste of victory. Prior to America3, Linda drove the marketing and branding for the world’s largest marine paint company, creating new product lines in the bass and offshore sport fishing, and high performance sailing markets. As publisher of Yachting Magazine, she leveraged her grand-prix sports success and 15-years of brand building in the luxury goods market, to create an array of non-endemic business opportunities and aggressive profitable growth. Awarded Glamour magazine’s ‘Women of the Year’ in 1995, International Women in Boating ‘Woman of the Year’ in 1996, and Lifetime television’s list of ‘100 Women of the Century’ in 1997, Linda is committed to creating success in others. Working with start-ups to multi-national corporations, including faith-based, education, non-profits, military and government – Linda brings decades of expertise to the process of facilitating, planning and executing change. 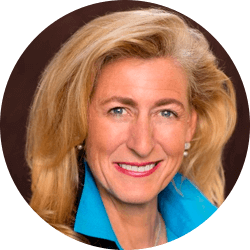 A passionate mentor and advocate for inspiring and developing women leaders, Linda is also co-founder and executive director of the Rising Tide Leadership Institute (RTLI). RTLI utilizes the high-tech and high-performance competitive platforms of sailing, aviation and motor sports to inspire and equip women leaders. These platforms develop both individual and team leadership skills, and STEM (science, technology, engineering and math) expertise, all necessary for women leaders to excel in a global knowledge-based economy. Continuing to compete successfully in sailing at the international level, on both water and ice, Linda and her husband, Air Force Major General (ret) Brian T. Bishop, live in Leland and Traverse City, Michigan. Larry has over 40 years of successful business and leadership experience. His passion is working with CEOs, business owners, and their senior level teams to develop strategies to accelerate profitable growth – helping them achieve at exit, both their professional and personal goals in life. He founded his consulting practice, GrowthPoint, in 2002 to help business owners succeed through effective strategic planning, action plan implementation, and leadership development. 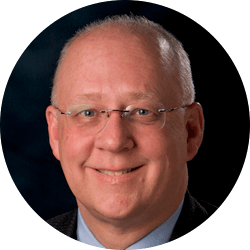 He is also an award-winning Vistage Chair and mentor who has worked with over 50 Kansas City area CEOs and business owners. Larry is a Master Chair and was recognized as the national Chair of the Year. 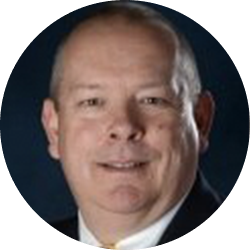 He has served the Vistage Midwest Region as a Best Practice Chair and was Executive Vice President-Field Operations of Vistage Worldwide for seven years – supporting ten regions in the US, including 500+ Chairs, and 14,000+ members. Larry sold his high growth, Inc. 500 award-winning company, Marketing Communications, to an NYSE billion-dollar public company over 20 years ago. After selling his company, he served as President and Chief Operating Officer for a number of operating businesses for this global leader in database marketing and led the pharmaceutical services division. He leverages his expertise and experience with his exit planning clients and has a deep understanding of the right pathway to grow a small entrepreneurial start-up into a profitable high growth company being sold at the right time for the right price. This winning combination supports a great legacy and provides the financial freedom for business owners to enjoy the next chapter. Larry began his career with the General Systems Division of the IBM Corporation. He earned his bachelor’s degree in finance and banking from the University of Missouri – Columbia. He lives with his brilliant wife of 37 years, Mary, in Leawood, Ks (near Kansas City), and has three terrific grown children. Their 40-acre farm, Running Deer Farm, serves as a great retreat where they host family reunions, weddings, and other important celebrations. Bonnie is an accomplished CEO, senior executive, entrepreneur, and board member. 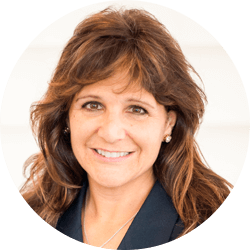 As a NAVIX Exit Planning Strategist, Bonnie helps business owners develop and execute a strategy for a successful exit that secures financial freedom and provides continuity for family, employees, and clients. 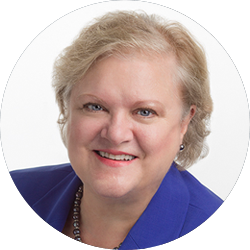 Bonnie’s long history advising CEOs as a board member, consultant, coach, and investor makes her a valuable asset for companies seeking guidance on strategic choices and creative problem-solving. She is passionate about helping CEOs and entrepreneurs achieve success. Over her nearly 40-year career, Bonnie has founded and exited from three business ventures. Through her consulting company, DKH Business Advisors she has advised companies on strategies for growth focusing on strategic choices, capital decisions, execution, and preparing for exit. She has held leadership roles in angel investment groups. Bonnie holds an MBA from The Wharton School, University of Pennsylvania. She is active with Entrepreneurship Programs at Salem State University as a program advisor, CEO Group Leader, workshop presenter, and judge for the business plan competition. She similarly supports The Wharton School and judges its business plan competition. Originally from the Midwest, Bonnie has lived for over 30 years in a late 18th century home in Salem, Massachusetts. She and her husband raised three children there and continue to support a wide range of nonprofit institutions to achieve their missions including their church, economic development, and historic preservation. Bonnie is a Trustee for Montserrat College of Art, a member of the Leadership Council for the Essex County Community Foundation and serves on the parish council for her church. 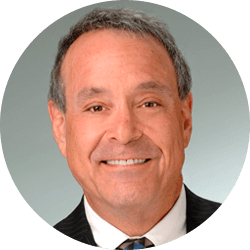 Gary Hirsch joined NAVIX to help business owners plan and execute successful exits, achieving financial freedom and clarity regarding what comes next. 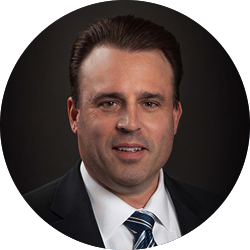 He is the CEO and Co-Founder of The Leader's Edge, an Arizona executive coaching, consulting and training firm. A professional certified executive coach, he helps CEO's, business owners and their management teams work more effectively, create a more collaborative work environment, overcome challenges and find more enjoyment and meaning in their work. 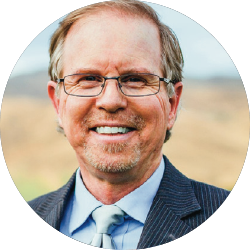 In 2008 during the height of the recession he opened the Tucson market for Vistage International where he built and chaired three Vistage peer advisory groups for CEO's, business owners and their key executives for a decade. His clients have included CEO's and managers from consulting; manufacturing; engineering; medicine; real estate; design; law; investing; show business and more. He has worked with clients on five continents, has developed business partnerships with companies in Europe, Asia, and Eastern Europe and is a "coach's coach," helping other executive coaches refine their coaching techniques and build their practices. 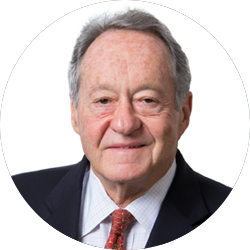 Prior to joining NAVIX Mr. Hirsch has enjoyed a variety of business successes. He served as Vice President for Macro International, a Washington DC division of the Opinion Research Corporation, and for Global Energy Partners, a Lafayette, CA energy consultancy where he advised some of the largest energy companies in the United States. Mr. Hirsch currently serves as a Director for an Arizona-based National Private College and a regional solar construction company. He has been recognized for excellence in leadership and sales in every one of his positions. He holds a bachelor's degree in energy policy and engineering. As a Rotarian he has led the Rotary District 5500 Ride to End Polio, a Tucson based bicycle event. His efforts have raised more than $45 million over 9 years including a generous match from the Bill and Melinda Gates Foundation, with every cent going to support Rotary International's efforts to eradicate polio. In his spare time, he enjoys cycling, studying classical piano, working out, traveling and learning. 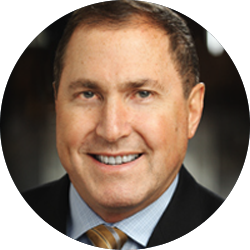 Tim Kinane is an Executive Coach and CEO Peer-Group Chairman. Tim believes that everyone can do better. Through his broad experience and unique perspective he coaches clients to greater success. Tim's coaching clients include a broad variety of professionals, businesses, governments and not-for-profit organizations. Working with CEOs, executives and business owners, he helps build and develop their work teams. With more than 35 years of business experience ranging from start-ups to small and large cap businesses, Tim uses his experience in operations, strategic planning and marketing to coach clients to explore and reach their goals. As a CEO Peer-Group Chairman, Tim facilitates a private advisory board of business owners. Exit planning - Consciously working toward a successful happy exit. Tim offers customized workshops, private coaching, peer groups, staff and board retreats, and a toolbox of unique employee motivation and business tools. With the NAVIX team, Trent Lee is a certified consultant helping business owners plan for and achieve successful exits. Trent is the founder and CEO of Compass Leadership Advisors, which is dedicated to improving the lives and businesses of chief executives and business owners. He is the Chair for two CEO/business owner private advisory boards for Vistage Worldwide and an EOS Traction Implementor. 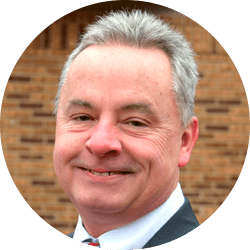 Trent is a former small business owner, divisional president/general manager and senior executive with over 25 years of business experience. Through college, Trent worked at Ralston and Norwest Banks and then joined the sales and management trainee program with Ferguson Enterprises (a Wolseley PLC company, the world largest distributor of plumbing, HVAC, and industrial piping products). While at Ferguson and Wolseley, he worked throughout sales, operations, branch management and then running his divisions as president/general manager across Iowa, North Dakota and Northern Minnesota. During his last years with Wolseley, he found his calling working with former business owners who had recently sold their businesses to Ferguson/Wolseley. Most specifically, working with the business owners and management teams to ensure a smooth transition, a successful exit to their sale and the ongoing business legacy. Trent has been a Chair for Vistage Worldwide since 2013, leading and facilitating peer groups for CEOs, business owners and senior executives across the Red River Valley. His two groups span across many industries including; agriculture, banking, construction, distribution, engineering, medical, manufacturing, professional services, IT/software development and telecom. Trent grew up in the Omaha, NE and spent his summers living and working on the family farm in central Nebraska. He and his wife Kerri have three children, Kati, Teegan, and Tanis. They live in Fargo, ND and are often seen volunteering at Hope Lutheran church. Trent is active in Boys Scouts, Tri-City Soccer, holds a first-degree black belt in Hapkido, is a member of the Aircraft Owners and Pilots Association and holds a private pilot’s license. He is also an active soccer official, refereeing all levels of soccer including youth, high school and adult in both ND and MN. When he’s not on the soccer field, you can find him cheering on his Nebraska Cornhuskers or the North Dakota State Bison. Trent is a graduate of the University of Nebraska at Kearney and holds a BS in Business Administration: Finance and Management. 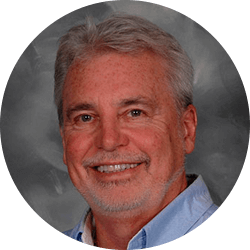 David Magee is an independent exit planning certified consultant at NAVIX where he helps business owners efficiently navigate successful ownership transitions. 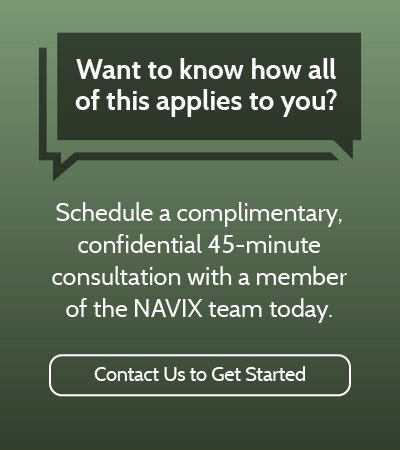 Leveraging NAVIX’s industry-leading resources and deep experience, David strives to maximize the financial, operational, and personal satisfaction outcomes when business owners begin planning exit strategies. Prior to joining NAVIX, David spent 30 years as a financial analyst at SunTrust Robinson Humphrey in Atlanta, Georgia. As a Managing Director/Senior Equity Analyst since 1992, David regularly conducted extensive market and financial due-diligence to generate detailed financial models and research reports on a variety of companies, highlighting the key macro and competitive attributes relevant to making investment decisions. 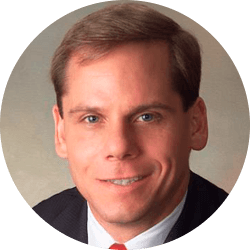 During his time at SunTrust, David was quoted in numerous newspaper and magazine publications, interviewed on CNBC and other TV/radio outlets for his views on changing market dynamics. In addition, David has been recognized by the Wall Street Journal and Thompson Reuters StarMine as a high performing equity research analyst. David earned his Bachelor of Arts degree at Wake Forest University (Economics), an MBA degree at Georgia State University, and completed the rigorous Chartered Financial Analyst (CFA) distinction early in his career (1997). When not working or spending time with his wife (Kelly) and three (almost) grown children (Sarah, Alex, and Annabelle), David enjoys various musical pursuits, golf, and boating. Prior to founding "Synergy Business Group" in 2002, Kath had an impressive career as a CEO for Synergy Glass, taking the company to a successful sale. She also made her mark when she served as Chief Delivery Officer for CIBER/Decision Consultants Inc., where she established and implemented a strategy driving growth and profitability. Early in her career, Kath was recruited by Ford Motor Company to join their management training program. While at Ford, Kath was responsible for global initiatives focused on strategic productivity improvements in cost, quality and timing. Kath was twice nominated and recognized for the Henry Fort Technology award. Kath has extensive Leadership and Business coursework and an MBA in Finance and Marketing from Wayne State University and a BS in Management Information Systems and Computer Science from Oakland University. Kath lives in Lexington, Kentucky with her family. Together with the NAVIX exit planning team, John helps business owners chart and follow a course that allows them to build business value and achieve exit success. In joining forces, they provide clients a powerful organizational development and exit planning toolbox coupled with the expertise of seasoned business consulting specialists. Both elements are essential to unpacking the emotional and technical decisions clients face when building value and exiting from their business on their own terms. John is the CEO and founder of PMP Corporate Solutions, Inc. and J-2 Consulting. These firms help CEOs and business owners tackle the operating challenges of today while meeting their business and individual goals. He is an entrepreneur, business owner, management consultant, Gallup Certified Executive Strengths coach, speaker and adjunct professor at New York University. Adopting a “no excuses, reasoned choices” philosophy, John helps businesses prepare to win in the market place today and build brand value for tomorrow. Starting with the premise that “People are the Engine,” he helps business leaders and associates alike spot relevant structural issues and confront cultural beliefs, assumptions and behaviors that hinder excellence, harm customer relationships, and weaken brand. John’s clients view him as a trusted partner advocating for their success. His forthright and unbiased insights help them rapidly move beyond the short-term, tactically focused operating strategies to which most are accustomed. As a consultant and coach, he brings business leaders the planning, development, and engagement skills needed to create passionate, engaged teams aligned with company values. John’s client experience includes multi-national, national, regional and locally owned firms in a variety of industries. In addition to his professional work, John has served as a corporate board member, pro bono volunteer to non-profits and president of a regional Chamber of Commerce. He continues to give back as an account director for the NYC Taproot Foundation by delivering pro bono development grant work to nonprofit organizations in the greater NYC area. He is an active member of The Organizational Development Network, Entrepreneurs Network, Business Leadership Forum and other related professional organizations. He resides in Philadelphia, Pennsylvania. As an independent exit planning certified consultant at NAVIX, Bud helps business owners achieve successful business transitions for themselves and for their businesses. Bud has been CEO at four privately funded technology and data services companies where he led the scaling of these businesses, selling two of these companies for a substantial return to the shareholders. He has over 40 years of experience in industry-leading hardware, software, and services companies where he held executive level sales and marketing positions at Intel, Tandem Computer, Sequent Computers, and KANA Software. Bud also has successfully contributed to mid-sized software and services companies in leadership roles in marketing, sales, and general business. He is currently a management consultant with Renaissance Management Services, a consulting firm he founded in 2006. Bud is on the Board of Directors for Rockliffe, a leader in enterprise collaboration solutions for mid-tier companies; IRT Software, a leading provider of incident management software for public safety organizations; and SunTechDrive, a provider of power electronics for the energy industry. Bud is the author of “Favorite One-Liners for Business,” a business leadership book published in 2010. Bud and his wife, Barbara, live in Denver, CO.
Sherri Neasham is a successful entrepreneur, venture philanthropist, and experienced business coach. As a NAVIX Exit Planning Strategist, Sherri helps business owners plan for and achieve a happy exit that secures financial freedom and leaves a legacy of success for family, employees, and clients. Having successfully transitioned the companies she has built, Sherri is uniquely qualified to assist owners in preparing for future sale, liquidation, or transfer of ownership to partners, employees or family members. In the last 3 decades, Sherri has built companies in 4 different industries. In the last 7 years, she has served as Partner and Board Director of San Diego Social Venture Partners, investing capital and coaching time in organizations focused on solutions for homelessness, hunger, poverty, education, youth violence, and foster care. She also now serves as Chairwoman of the Board for Leadfusion, Inc. and is an Entrepreneur in Residence for Connect in San Diego. As an exit planning strategist and NAVIX consultant, Ron helps business owners plan for and achieve their goals to exit from their businesses, secure their financial freedom and prepare them for life after exit. As a result, he ensures that his customers leave a legacy of success for their families, employees, and customers. Ron has been involved as an executive in several owner/founder exits at companies where he worked and has been a certified business broker. Porter Advisory Services, a consulting firm that provides a wide range of business advisory services, including growth, strategy, business model, change leadership, business improvement executive coaching and exit planning. PorterInnovation, a consulting firm that specializes in creating customer-centric organizations by learning how to innovate and improve customer experiences, as well as creating the right supporting cultures. 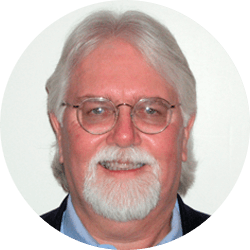 Ron brings 30+ years of global consulting and coaching experience to help organizations grow and improve. He has significant experience assisting organizations to become innovation-capable, enhance customer experiences, and design & implement transformational change. Organizations he has advised have created new products/services in the marketplace, streamlined business processes, improved customer experiences in the most impactful areas and engaged their workforces in a more focused, productive way. Prior to starting his consulting firms, Ron was an executive at Linkage where he was successful at improving customer experience, changing key elements of the business model, driving innovative sales initiatives to grow new markets and creating new offerings in the marketplace. Ron has held leadership positions at several other major consulting firms, including Deloitte and Towers Perrin. He is also a speaker on innovation and change and a professor at Plymouth State University, where he teaches a variety of business topics. Ron earned his B.S. in Business Administration from Villanova University and his M.B.A. from The Wharton School, The University of Pennsylvania. He is married to his wife, Julie, for 30+ years and has three sons, Mike, Jeff, and Nick. He splits his time between New Hampshire and New Jersey. 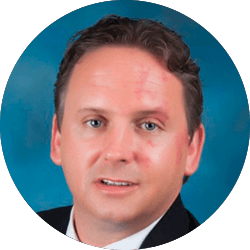 Jimmy Rushing is an independent NAVIX Exit Planning Strategist who is intent on guiding business owners to “win the game of their life” by first helping them understand the incredible value of a proven exit plan process and then keeping them on track throughout that process. By working closely with business owners, Jimmy focuses on maximizing successful outcomes that will achieve personal and business goals. He believes that only an experienced exit planner can navigate the complex exit journey by anticipating and mitigating the many challenges that will be faced. During his career, Jimmy has numerous experiences in successful entrepreneurial business environments, including multiple INC 500 and Houston Business Journal Fast 100 companies. These afforded him a great deal of insight into the processes, challenges, and rewards around mergers, acquisitions, and overall exit scenarios in general. Jimmy has a broad background encompassing operations (technology, services, and manufacturing), sales and marketing, P&L oversight, and organizational management. Jimmy earned an A.A.S. in Computer Information Systems (South Plains College), a B.S. in Applied Science & Technology (Edison State College), and an MBA with Honors (University of Houston). When not working or spending time with his wife, Victoria, and three young adult children (James, Madison, and Alexandra), Jimmy enjoys reading, listening to a variety of music, and relaxing at the beach. 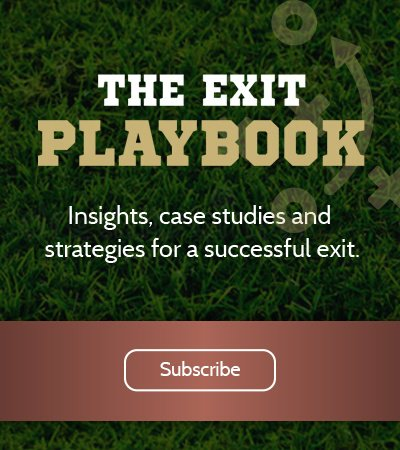 As Founder and Owner of True North Consulting, a California based company, Brett Sargent is an independent exit and succession planning strategist for NAVIX, the leading organization helping business owners navigate and achieve successful exits. He also chairs three CEO/Business Owner groups totaling 40 members in the Sacramento area on behalf of Vistage Worldwide. Brett is a former C-Level executive and business owner of several small businesses working with both large companies and small companies throughout his 20-year career. Through college, he worked at Dupont in Electrical Engineering, designing medical equipment. After college, Brett transitioned to be a nuclear engineer/physicist working on both nuclear submarine design and training at Lockheed Martin as well as commercial nuclear plants at Commonwealth Edison in the Midwest. 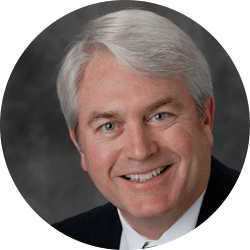 He spent a portion of his career with General Electric in various executive roles in supply chain, manufacturing, quality, product management, engineering, sales and marketing and completed several leadership programs and training while at GE. His last role was the Global Sales Leader for General Electric’s transmission and distribution products, responsible for global sales of $600M. 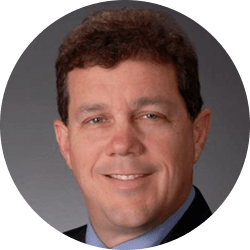 Brett transitioned from GE and large corporations to work in various startups and small businesses and start his own companies in numerous industries on both the east and west coasts in a variety of leadership and ownership roles. These roles involved starting operations in China, India, Brazil and Europe. This included being GM/CTO for LumaSense Technologies, Inc. in Santa Clara, CA and President of GridSense, Inc. in West Sacramento, CA. Brett holds an MBA from Georgia State University in Atlanta, GA; an MS in Nuclear Engineering from Rensselaer Polytechnic Institute in Troy, NY; and a BS in Electrical Engineering from Widener University in Chester, PA. Brett has also completed the Naval Nuclear Power School from the US Navy and the Reactor Plant Design Analysis Program from Knoll’s Atomic Power Laboratory. He is also Six Sigma Black Belt certified. Brett is active in the cleantech startup community working as a venture advisory board member of the i-Gate Innovation Hub and advisor to Clean Tech Open. Brett resides in northern California with his wife and two children. Clark is a Senior Executive with hands-on leadership experience with large OEM corporations ($5B+ in sales), over 10,000 retail dealerships, turn-arounds, brand building, manufacturing, product launches, and successful start-ups, acquisitions and transitions that bring vast breadth and depth of executive leadership experience and qualifications. Clark began his career with Chrysler Corporation as a District Manager. He held several corporate roles there, including Chrysler Division General Marketing Manager. Clark was recruited by Mazda Motor of America to serve as its EVP & COO. Clark’s experience in the recreational industry came as President and CEO of Mark III Industries in Ocala, FL, the nation’s leading van and truck conversion company. Clark was recruited to join Outboard Marine Corporation (OMC) as President of its Boat Group. Clark founded America’s PowerSports (APS) and served as its Chairman, President & CEO. At APS, Clark and his team built the second-largest motorcycle/power sports dealer group in the US, growing revenue from zero to $200 million in eight short years. While building this start-up, Clark was also a Member of a VISTAGE/TEC CEO Group in Nashville. Most recently, Clark was co-owner of Harley-Davidson of St. Augustine (FL). Clark has regularly lectured at Lipscomb University in Nashville, TN. He received the Nashville Business Journal’s “Best in Business” award and was a finalist in their “Entrepreneur of the Year” award. In addition to receiving a Bachelor of Science Degree in Advertising from the University of Florida, Clark completed the Executive Management Program at Tuck Graduate School at Dartmouth and has his MBA Degree in Organizational Management from Trevecca University in Nashville. He has also been certified by the Dale Carnegie Executive Management Development course and the Crosby Quality College in Executive Management. Married with two grown sons, Clark and his wife, Christy, a health care industry executive, live in Nashville. 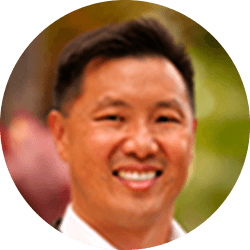 Driven by a desire to help Hawaii succeed in the 21st century by preparing the next generation of the state’s leaders, Craig founded Fresh Leadership to share nationally recognized best practices in executive coaching, strategic planning and leadership. 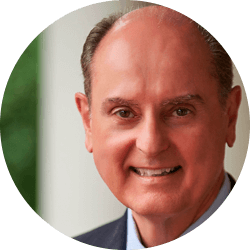 Craig is a protégé of Master Strategist Tom Paterson, whose strategic planning and leadership coaching processes have been used at global companies such as IBM, Disney, McDonnell Douglas, Northrop Grumman, RCA, Estee Lauder & OtterBox. His knowledge of the Paterson Processes, as well as his credentials as an International Coach Federation Professional Certified Coach, Hudson Institute of Santa Barbara Master Coach, and Sr. Birkman International Consultant have allowed him to become a trusted advisor to CEO’s and Senior Executive teams in midsized and large business such as: Kamehameha Schools, City Mill, JN Automotive Group, and the Hawaiian Electric Companies. Craig discovered his passion for executive coaching and strategic planning through his work with the church, which he was involved in prior to founding Fresh Leadership. He was mentored by Dr. J Robert Clinton, the guru of Life-Long Leadership Development, while a full-time graduate student at the Fuller Theological Seminary in Pasadena, California. He was also a part of the core church planning team with New Hope Christian Fellowship on Oahu from 1995 to 1999 in which the church grew from 0 to 6000 in weekend attendance. Craig takes great joy in serving in the community as a YMCA Metro, Board Member; Salvation Army of Hawaii, Board Chair; and in his Church Blue Water Mission. Craig is also married to Sandy and they raise two beautiful daughters Sophie & SaraAnne. 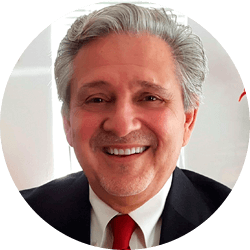 Carlos joined NAVIX Consultants after successfully exiting his business, The Hire Firm, a market leader in staffing and executive recruiting in northern New Mexico. Through this experience, he became a firm believer in the importance of business owners developing and executing an exit plan on time to ensure a successful financial and emotional outcome. Carlos is the CEO of Cduno Coaching & Consulting. His unique background of executive and entrepreneurial roles, combined with high level consulting and executive coaching experience allows him to quickly understand and relate to a wide variety of business situations. He believes that the best ideas and plans will amount to very little without the knowledge and implementation of effective execution habits. Carlos will challenge his clients to look at themselves and their abilities, to help them develop and execute an exit strategy that meets their needs and desires. He worked for several US and Mexican global companies, including years of consulting with a leading global consulting company. He was CEO of Clean Fuels Technology, an alternative fuels company, and has been the owner and CEO of several business ventures. He is also on the board of an NYSE listed company. Carlos is originally from Mexico City and has a BS and an MS degree in engineering and an MBA. He is a certified Executive Coach. Carlos is an avid reader, enjoys opera and classical music as well as exercising and playing with his grandchildren. He lives in Santa Fe, New Mexico with his wife Barbara and their six dogs. Through his company, Ironbridge Development LLC, Ocie provides training, coaching and advisory services to small business owners and entrepreneurs. His other entrepreneurial interests involve providing expanded access to nutritious foods, creating jobs, and educating young people throughout southeast Michigan. Previous positions included Director, Entrepreneurial Programs at TechTown and Client Delivery Executive at EDS/HP. Ocie spent 25 years in leadership roles in sales, operations, and marketing with a number of well-known companies including EDS, GE Capital, Mazda, and Citicorp. Ocie enjoys learning how things work and making connections between ideas and people to solve problems. He believes that the right questions are the key to mutually beneficial outcomes. Ocie has a Bachelor of Arts in Organizational Behavior and Management from Brown University, an MBA with marketing concentration from Columbia University and a Masters in Community Economic Development from Southern New Hampshire University. He is a native of Atlanta, Georgia. His son lives in Chicago while his daughter lives in Detroit. Ocie has lived in the Detroit metropolitan area since 1998 and loves the idea of participating directly in the city's resurgence. Besides his own entrepreneurial interests, Ocie assists others with their business ideas. He enjoys spending time outdoors and listening to live jazz performances. I GET IT… it’s difficult to predict when will be the right time to exit your business, and it’s even harder to be confident that you can maximize value when you do. My business career started at my family’s private label cookie company, which we sold to Keebler in 1993. After helping to successfully integrate the business, it was time to go back to my entrepreneurial roots. In 1999, I bought a specialty food company with thousands of customers including Cracker Barrel, Amazon, Hallmark, Bed Bath & Beyond, Kroger, and Publix, to name a few. Fast forward through the Great Recession, cancer, and a bone marrow transplant – it was time for a shift in priorities. I discovered during the sale of my business that I enjoyed the process, and soon after the transaction, I became Managing Director of a boutique M&A firm focused on lower middle market companies. During my tenure, I was exposed to many owners who wanted to transition but would not be able to generate enough value from a sale and were not personally prepared for “what’s next.” Seeing this significant need in the market, I earned an exit planning certification and now enjoy helping fellow business owners prepare for a successful outcome for their company. Working with NAVIX allows me to leverage my 30 plus years of management, ownership, and M&A roles in the food and consumer industries, with NAVIX’s best-in-class exit planning services and superior proprietary processes. Key differentiators which are attractive to strategic and financial buyers. Please contact me if you have an interest in exploring any of these areas affecting value creation and the ability to have a successful transition. I would be happy to start a confidential discussion with you regarding the future of your business! In addition to helping business owners navigate a successful transition beyond their business, I am the trusted advisor’s trusted advisor, often the allied professionals who are accustomed to working with owners when they are growing their business. I help these financial professionals thrive, so they can magnificently fulfill their mission of helping others make their financial dreams come true. 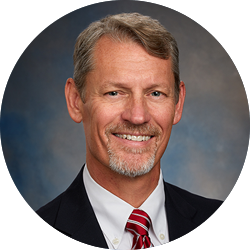 Joel Lund has worked 20+ years with financial professionals, from advisors and agents to investment brokers, RIAs, financial planners, CPAs, and law firms. As a Managing Principal with WADDELL & REED through the worst of the Great Recession, he received the International Management Award from GAMA four times. Joel holds three executive coaching certifications, with specializations in optimizing teams for revenue acceleration, and quickly advancing performance from those in executive leadership. His mastermind groups help members to quickly and easily make career-empowering leaps. Prior to his work in the private sector, Joel worked in the non-profit arena and especially enjoyed working with church leaders and organizations serving the disenfranchised. He is an award-winning author of four books, in both fiction and non-fiction. An engaging speaker, he’s shared with Chambers, company teams, leadership groups, non-profits, schools, and firms in many states and western Canada. By bringing a right/left brain holistic viewpoint together for his audience, they’re encouraged and finally able to see a clear path to the goals that had eluded them. Joel has completed the STP Bicycle Classic (a 200-mile, two-day ride from Seattle to Portland) several times, including twice with his wife on their tandem). He’s also scaled many routes in Joshua Tree (up to 5.11) and other great rock-climbing locations in California (establishing and naming a climb near Monterey) and all over Washington state. Michael joined NAVIX as an advisor in 2010, specializing in exit planning for owners of closely-held businesses, tax planning, estate planning, retirement plans, and investment planning. Michael today helps lead this practice. In 2014, Michael became an equity owner. Prior to joining NAVIX, Michael spent over ten years in the public accounting and wealth management arena. Michael worked with a Big Four accounting firm and a regional accounting firm in Atlanta where he gained experience in financial audits of closely held businesses, ERISA benefit plan audits, and taxes. Next, Michael moved into the wealth management and financial planning arena where he worked with individuals on all of their comprehensive financial counseling needs. Michael is a graduate of the University of Georgia’s Terry College of Business where he received his Masters of Accountancy (MACC). He has earned the Certified Financial Planner (CFP®) and Certified Public Accountant (CPA) designations. Michael has lived in Atlanta nearly all of his life. He and his wife, Sloane, have two younger boys, John Wilson and Clayton. They currently live in Sandy Springs and are members of First Baptist Church of Roswell. He recently trained and completed a Tough Mudder challenge, an endurance obstacle course. In his spare time, Michael enjoys spending time with his boys and coaching their baseball and flag football teams, watching UGA football games, and playing golf. 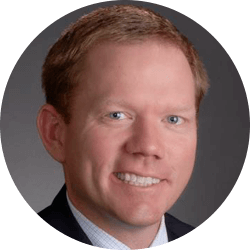 Within NAVIX, Trey’s efforts focus on assisting consultants with business development, and he serves as a sales catalyst for the NAVIX team of independent consultants. Trey has spent his entire career working with closely held businesses to assist the owners with their needs. He specializes in working with closely held business owners to plan for their business exit which includes addressing their financial, legal, operational, managerial and personal readiness for an eventual ownership transfer or sale. Trey worked for more than nine years as a trust officer within the banking industry identifying and implementing solutions for clients including: compensation and deferred compensation strategies, qualified retirement plans, and proprietary investment management strategies. At the inception of his career, Trey worked for four years with the many of the same principals at a predecessor organization, where they created and designed succession strategies for privately held and family owned businesses. Throughout his career he has assisted companies ranging from startup to several billion dollars in revenue. Trey is a graduate of the University of Georgia’s Terry College of Business. In 2002, he earned the Certified Financial Planner (CFP®) designation. Trey has lived in Atlanta most of his life. He and his wife, Mandy, have three children, Russ, Cate, and Mary Ellen. They currently reside in Brookhaven and are members of Our Lady of the Assumption Catholic Church. In his spare time, Trey enjoys time with his family, volunteers at industry and community groups, coaches youth sports, and attends University of Georgia football games. He appreciates a challenge and has participated in endurance sports ranging from Ironman triathlons and long distance mountain bike races to multi-day running and cycling events. Chris Rowen is an exit planning consultant at NAVIX, where he helps owners of closely-held companies address their financial, legal, operational and personal readiness for an eventual ownership transfer or company sale. 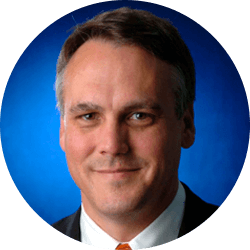 He is a frequent and sought after speaker for CEO roundtable gatherings and industry events. Prior to NAVIX, Mr. Rowen was an investment banker at VRA Partners, where he managed mergers and acquisitions for middle market technology and industrial companies. It was in this capacity that he gained an appreciation for the positive impact that a well-constructed exit plan can have on business owners and their families. Prior to VRA, Mr. Rowen spent eight years at SunTrust Robinson Humphrey, a leading regional investment bank, where he earned recognition from both the Wall Street Journal and Institutional Investor Magazine for his work in the supply chain and technology sectors. Earlier in his career Mr. Rowen spent nine years as a management consultant, for a variety of industry leaders, including Coca-Cola, Motorola, Henkel AG and Celanese Corp. Mr. Rowen is also a founder of RepairPal, a venture capital backed company that has become the leading web provider of independent auto repair estimates, with more than one million monthly unique visitors. Mr. Rowen earned his Bachelor’s Degree in Mechanical Engineering from North Carolina State University and his Master’s in ME from Georgia Tech. 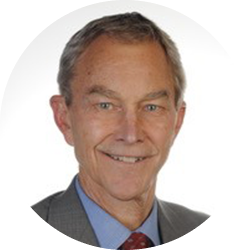 Mr. Rowen also studied towards a Ph.D. in Marketing at Stanford University’s Graduate School of Business. Chris and his wife, Nancy, whom he met during his undergraduate studies, are enjoying life after raising their two children, Thomas and Rebecca. During his free time, Chris enjoys the outdoors while cycling or playing golf. When he cannot be outside, Chris can usually be found playing guitar, or building something in his workshop. 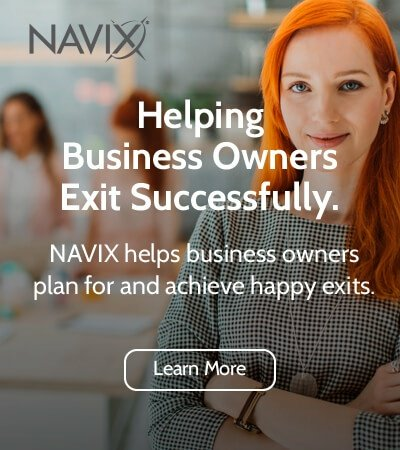 Bruce is working together with the NAVIX exit planning team to help business owners and health care agencies map out and follow a course to successfully position, grow, and exit the business they have poured heart and soul into on their own terms. By teaming up, they can provide years of business building, operations, legal, and mergers and acquisition experience, insight, and knowledge. All of these facets work together to provide the business and agency owners with the best help available to meet their strategy, goals, and prepare for the next chapter. Bruce literally grew up in business and has been heavily involved with the health care industry for his whole career. Bruce started working in the family business at nine years old and has been in and around health care since he was a child. For 25 years his mother was the Director of Nursing at a nursing home in Ludington, Michigan where he often accompanied her to work. When she moved into the Home Health Care field, she and her business partner often consulted with him after he started practicing law, giving him a unique foundation and perspective. He began his legal career with Varnum, Riddering, Schmidt & Howlett, which was then the premier and largest law firm in West Michigan and has represented businesses and health care practices for 26 years. In dozens of cases, he has represented numerous clients in negotiations and transactions or has acted as the closing agent in closing the deal. He doesn't just hold a law degree, he built a successful long-standing practice in the field. Bruce has been integrally involved with businesses, agencies, and practices at every stage from formation, through operations and employment matters, to marketing and closing a transition. He understands transitions well, having exited his Michigan practice and started a new business in Florida in 2010. Bruce holds a Bachelor of Science in Business Administration and is an honors graduate of the University of Detroit School of Law. He lives in Fort Myers, FL with his wife and daughter, and they enjoy sailing, skiing, running, and travel.